Pro's - Inexpensive, easy to fly. With DJI owning 80% of the industry, they have advanced the technology and sped up the ROI in the industry. This drone is ideal for both beginners and experienced drone pilots. Two years warranty on drone , everything else one year. Please allow up to 14+ business days from payment clearing our bank, to ship product(s). Price does not include shipping, which is due once build is complete. See shipping. 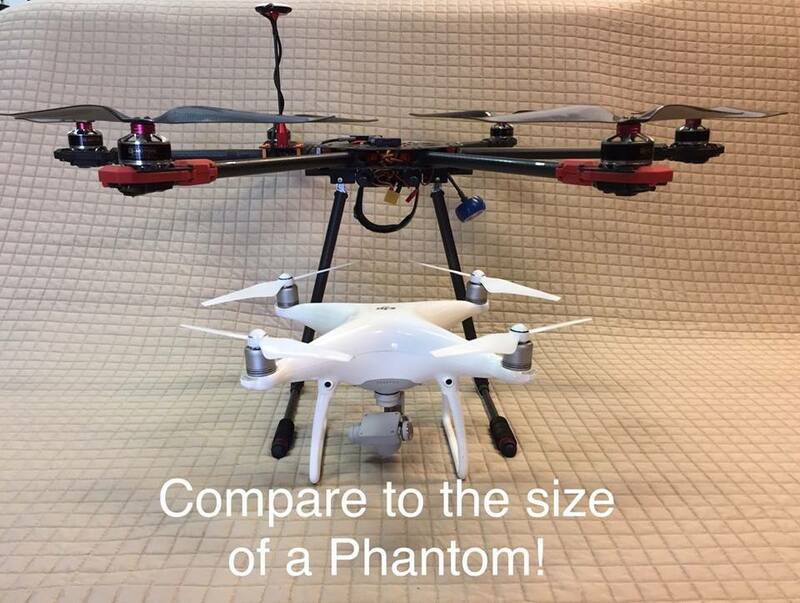 Pro's - This large drone fits commercial needs that smaller drones like the Phantom completely miss. With 4/6/8 props this drone fly's very smooth with gear on it making it ideal for photography and video. Cons- More Expensive , Requires Commercial Drone Pilot Cert.